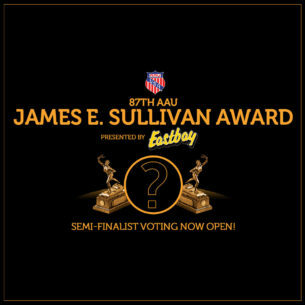 The final round of voting for the AAU Sullivan Award is now open! 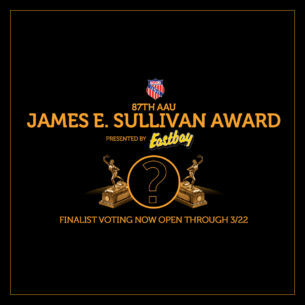 You can vote by clicking here. 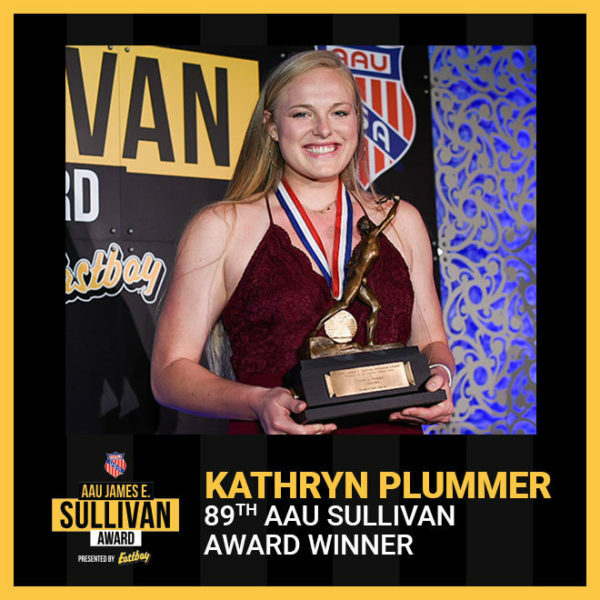 Since 1930, the prestigious award has been given to the most outstanding amateur athlete in the United States, and some of the biggest names in sports have been honored with the award. Past winners include Carl Lewis, Peyton Manning, Bill Walton, Michelle Kwan, Michael Phelps, Ezekiel Elliot, Tim Tebow, Shawn Johnson, Missy Franklin, and J.J. Redick. The final round of voting will close on March 22, so make sure to get your votes in quickly! You can vote once every 24 hours here. And now, let’s meet the finalists! The nominees are some of the best athletes in the world, many with gold medals and national titles to their names. 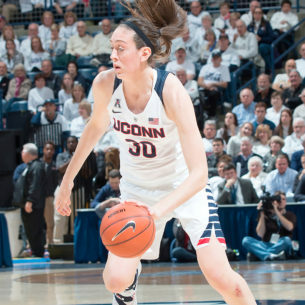 As a two-time semi-finalist, Johnson is no stranger to the AAU Sullivan Award, and for good reason. She’s already one of the best water polo players in the world, with a stacked résumé that includes a gold medal at the 2016 Olympic Games in Rio. 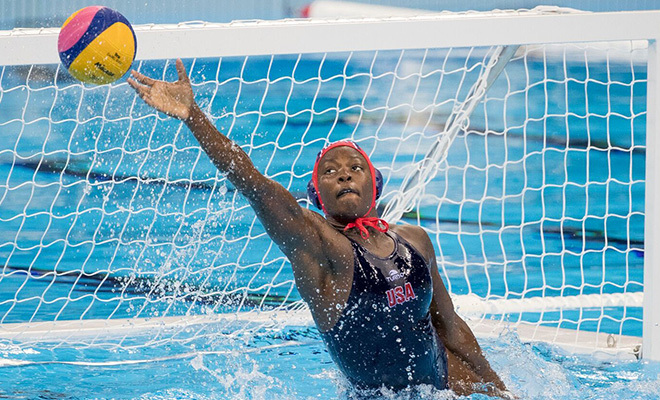 Johnson also took home Top Goalkeeper honors in Rio and was named 2016 Water Polo Player of the Year by Swimming World magazine and 2016 Women’s Sports Foundation Sports Woman of the Year. 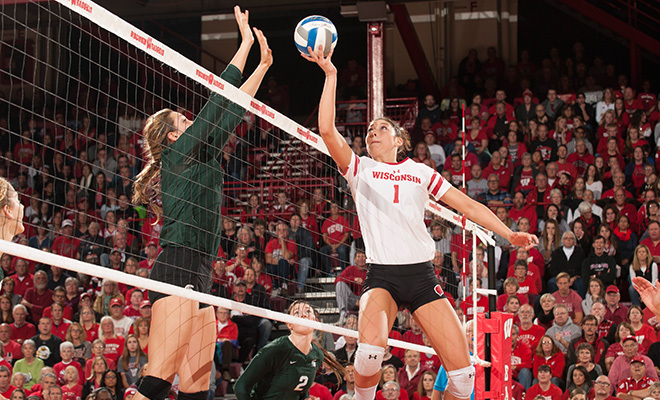 Carlini had one of the most prolific careers in Big 10 volleyball history at Wisconsin. She took home All-Big Ten honors all four years, the first in program history to do so. She also ranks first in Wisconsin history with 74 career double-doubles and second in career assists with 5,599. She was recognized with All-American honors from the American Volleyball Coaches Association three straight seasons. Perhaps most impressive, Carlini helped Team USA bring home a bronze medal from the 2016 Pan American Cup. Thrasher’s most recent claim to fame: winning the U.S.’s very first gold medal at the 2016 Olympic games. Winning Olympic gold is impressive enough, but even more impressive at age 19. Not only did Thrasher bring home the gold, she did it convincingly. 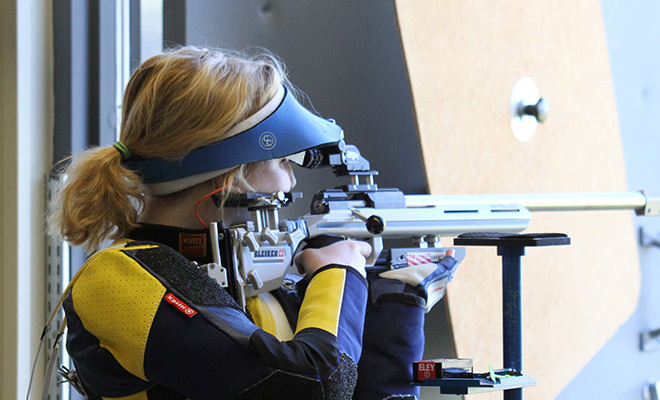 In the 10m air rifle competition, she defeated her opponent by a full point, which is considered a wide margin in a sport where precision is key. In addition to her gold medal, Thrasher also has a pair of NCAA Championships from her freshman season at West Virginia University. Snyder is one of the biggest names in wrestling today. The 20-year-old has already put his stamp on the record books as the youngest gold medalist in U.S. wrestling history. 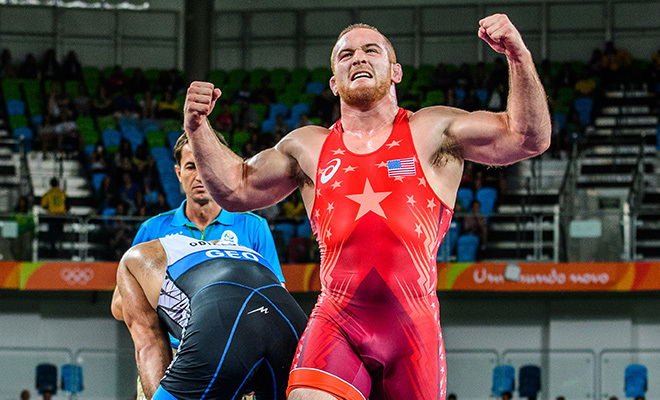 He took home Olympic Gold in Rio and also owns an NCAA Championship. The Ohio State product has a Freestyle World Cup championship on his résumé, as well. Harrison isn’t just one of the best in the world. She is the best in the world. She finished 2016 ranked No. 1 in the world in her weight class after winning her second gold medal. 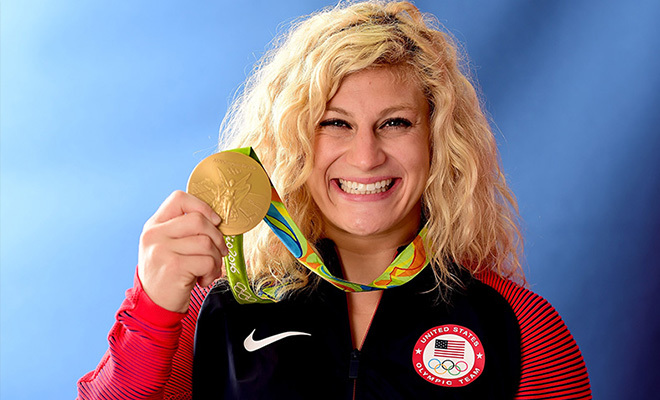 Harrison is the first American judoka to ever win an Olympic gold medal, and she successfully defended her title with another gold medal in Rio last year. Hernandez was a member of the Team USA gynamistic team that took the nation by storm at the 2016 Olympics in Rio. 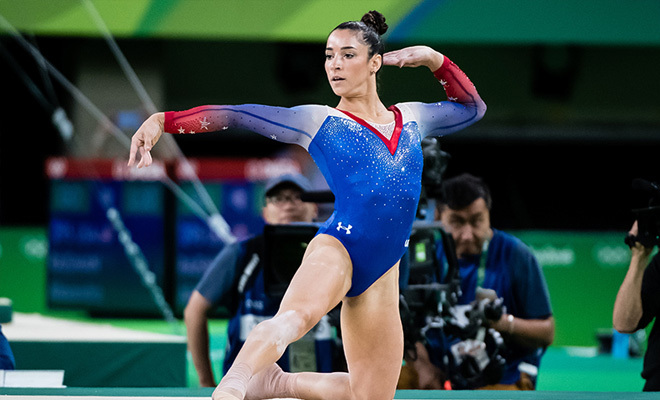 In addition to helping Team USA bring home a gold medal in the team event, Hernandez’s score of 15.333 on the balance beam earned her a silver medal for her individual performance. 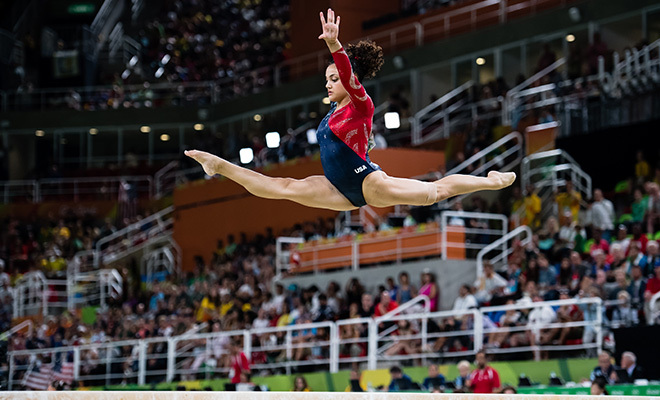 As the captain of both the 2012 and 2016 USA gymnastics teams, Raisman is one of the most decorated U.S. gymnasts in history. She is the first U.S. gynmast to win back-to-back medals in the floor event. The 2016 Olympics cemented her legacy, bringing her medal total to three golds and six career Olympic medals, the second most in U.S. gymnastics history.